With a 50 year history, Ruth Washburn Cooperative Nursery School (RWCNS) is a beloved preschool in the Pikes Peak region. Children two and a half through six years of age enjoy an enriching preschool experience that focuses on their full development as human beings. Through small class size and a wide variety of materials, music, art, movement, and dramatic play, the children are invited to creatively explore the world and discover how to uniquely express themselves. RWCNS is organized as a cooperative, in the belief that its educational aims can best be accomplished with the active presence of parents within the school. Parents assist in the classroom and take responsibility for the maintenance, governance, and financial well-being of the school, while the school, in turn, provides opportunities for parent education and support. This blending of school and family life eases the child’s transition to the world beyond the family and creates a cooperative community dedicated to providing the richest, most caring environment possible for children. Families can find flexibility with our wrap around Explorers program which extends our program on an hourly basis. This program is available both before and after regular classes for children ages 3-6. 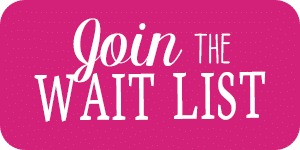 Please fill out the form to be added to our wait-list. We will be starting our registration process soon. See our Program tab for more information. Here are the links for tickets, a letter to ask for items, the auction turn in form, etc.